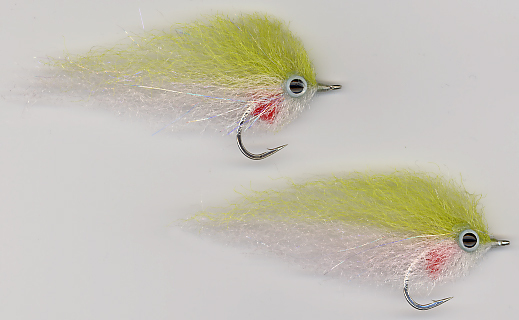 Enrico's Mangrove Baitfish, Pinfish, Pilchard, and Mutton Snapper flies are excellent patterns to imitate these baitfish which are so common in parts of the Southern United States. Great flies for tarpon, snook, redfish & more, especially in backcountry areas - these flies will also produce in many areas worldwide where gamefish feed on small herrings & jacks. All of these flies feature a double monofilament weedguard. Click the blue dots shown below to see more photos. 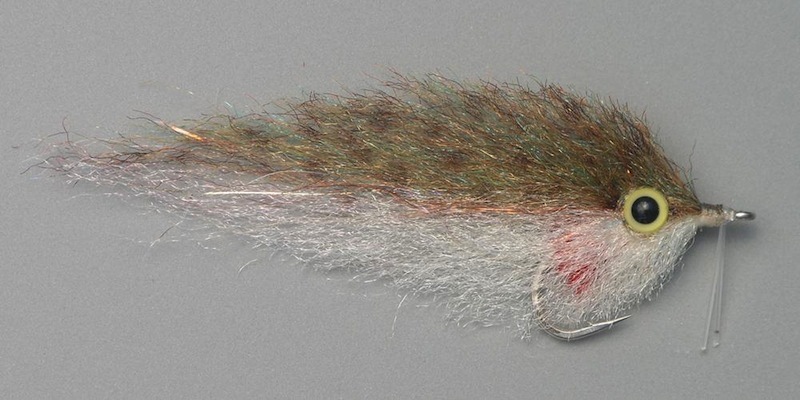 Enrico's Mangrove Baitfish, Pinfish, Pilchard, and Mutton Snapper flies are tied on super sharp Gamakatsu hooks. 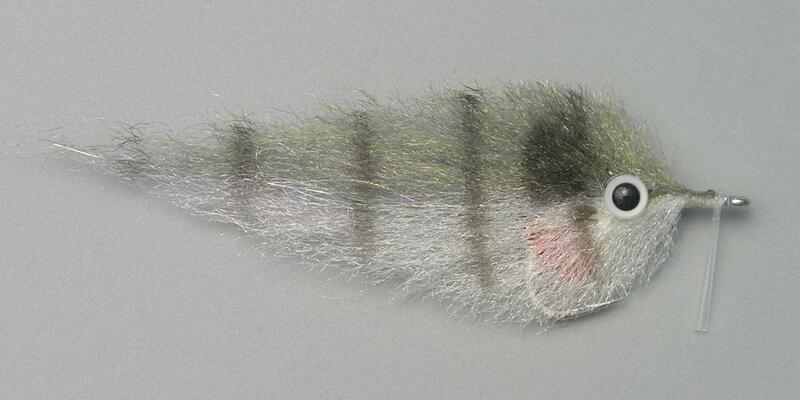 The #2/0 flies are approximately 3 1/4 (8 cm) long and feature a monofilament weedguard; the #3/0 flies are approx. 5 1/4 inches (14 cm) long (no weedguard). Click Here for size reference photo of the #2/0 Pilchard. 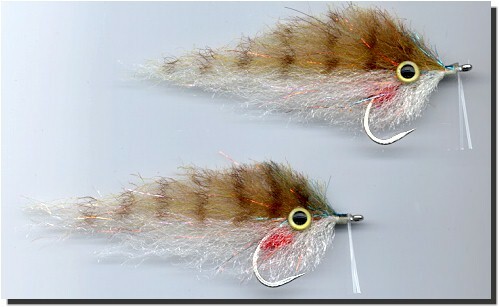 These flies are also excellent patterns for largemouth bass & peacock bass fishing. Tied by Enrico Puglisi Ltd.